Merthyr Town's Kerry Morgan. Pic: Peter Harman. 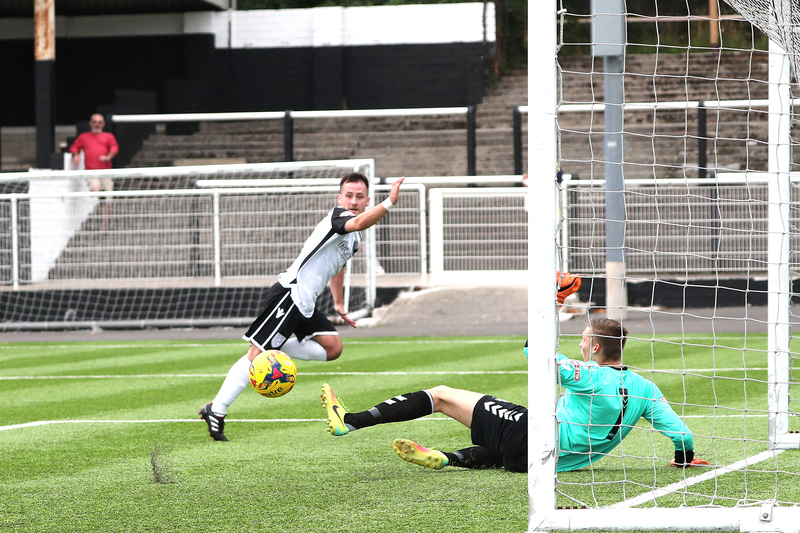 Merthyr Town face a test of character when they travel to Hampshire for an EvoStik Southern League fixture on Saturday. Hosts Gosport Borough are fighting for their Premier Division lives – and a win against the Martyrs could see the home team leap out of the bottom three. They are dangerous opposition right now, having beaten top four team Salisbury 2-0 away in their last fixture. Goals from Charlie Davis and Sam Lanahan capped an outstanding team performance by Boro. Gosport are two points behind Walton Casuals and Wimborne, while Tiverton and Basingstoke are only three points in front of them. Merthyr look certain to finish in a highly respectable mid-table position and are currently 13th on 49 points. Gosport’s remaining fixtures are: v Merthyr Town (home), Staines (away), Wimborne (home), Metropolitan Police (away). Cinderford Town will play Stratford Town in the Southern League CCS League Cup final. The match will be played at at Arden Garages Stadium, Stratford on Tuesday, April 16 (7.45pm). Forest of Dean club Cinderford won 3-2 against Blackfield and Langley with Craig Norman (2) and Matt Macdonald their scorers. Chris Cox scored an 89th minute winner for Stratford in their 3-2 semi-final success against Lowestoft Town.